I have introduced you to the Antagonist, Protagonist and Aliens, now I’d like to give you a little background on Tau Ceti Earth as I have dreamed it up. Imagine Earth as she is–her grandeur, majestic mountains, continents separated by seas. Think of the Serengeti, the Iguazu Falls of Brazil, the volcanoes of Iceland, the Amazonian rainforest, and the jungles of Peru. 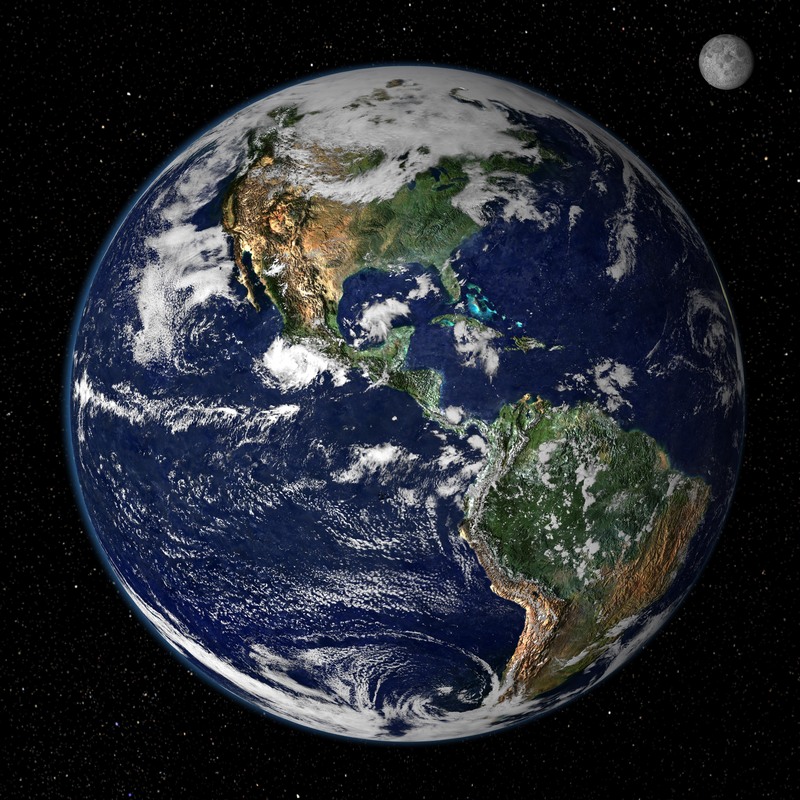 Now, holding the images in your mind, expand the earth to about 2 x’s the size of our planet. Add four planets between it and the system star and you have Tau Ceti e.
The planet orbits the G-type star Tau Ceti, or as it is also less commonly known, Durre Menthor. This star is smaller and less hot than our own, so any planet in the habitable zone would be cooler than our Earth. WIth a debris disk present, the five assumed planets probably get bombarded quite often. The 5th planet, which is in the Goldilocks zone, may be habitable for humans if an atmosphere exists. In my upcoming book, the year is 2381 and mankind has taken to the stars. Earth has rotted away to an anemic version of her current self. Many of the current coastal cities are gone and the only people remaining are prisoners. Earth is now a lifer prison planet. Only those considered the vilest and most unrepentant get shipped there to live out their days in abject misery and poverty. The rest of humanity, however, has populated the Alpha Centauri system and set up major mining facilities in 61 Cygni A & B and Procyon. The new human home world is Tau Ceti e, or Tau Ceti Earth as it is now known. Before coming to inhabit the planet, several human ships came to cull the debris disk to make Tau Ceti e a truly habitable planet. The asteroids and ice were essentially harvested and used for whatever properties they could be. Asteroid mining is big business and keeps the new human planets mostly safe from destructive mining processes. 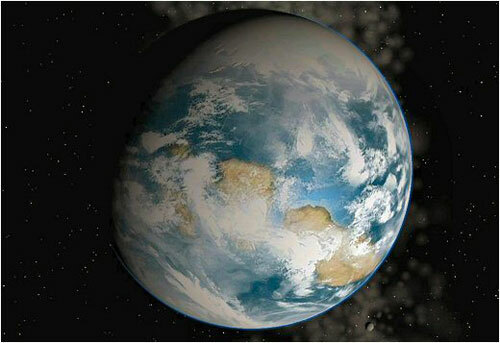 The new human home world is Tau Ceti e, or Tau Ceti Earth as it is now known. Before coming to inhabit the planet, several human ships came to cull the debris disk to make Tau Ceti e a truly habitable planet. The asteroids and ice were essentially harvested and used for whatever properties they could be. Asteroid mining is big business and keeps the new human planets mostly safe from destructive mining processes. Unlike the governments of Old Earth, Tau Ceti Earth is ruled by one government. This government has representatives from each continent and country present on the board. You can imagine a lot of arguing during Senate sessions. In my imagination, this planet has 16 different continents, 1 world ocean, about 98 seas and over 47,000 rivers. While cooler than Old Earth, the mild temperatures on TCE allow for better farming, massive amounts of livestock–including indigenous animals–and very temperate weather. As on Old Earth, there are jungles, rainforests, volcanoes and waterfalls. However, thanks to having (mostly) learned our lesson, there are safeguards in place to keep the natural resources from being used up. Forty heavily armed space stations orbit the star Tau Ceti and it’s five planets. The stations, orbiting on the outskirts of the system, are part of the perimeter defense for the system. Twenty of the stations harbor the Humanity Intergalactic Conglomerate Space Fleet, which is comprised of fighter pilots and marines. Patrols fly out from these stations to keep watch over the system. After all, if we’ve ventured out, there stands to reason that at some point, we may come across an intelligent alien species or two. Who knows whether they’ll want to be friendly or not? Ten stations control ship repairs as well as shipping people and cargo out of the system. These stations also house temporary holding cells for prisoners shipping out to Earth. The remaining ten are essentially communications outposts and are smaller than the other thirty. While there is but one government, the truth is that the Humanity Intergalactic Conglomerate is run more like a corporation than anything else. Decisions are made about the best way to make humanity wealthier and more powerful. The mission of the H.I.C. is to spread humanity as far as possible into the galaxy. With over 42 billion humans in existence, spreading out is the best way to keep a semblance of order on Tau Ceti Earth. Society is divided by use. The H.I.C. is made up of Governors, Senators and Mayors. Next is the Science Guild, the military, and the Laymen–people who work only in administrative or manual labor jobs. The governing structure is still considered a Democracy. The men and woman who are Governors, Senators and Mayors have their own vote. The Science guild receives six votes collectively and the military receives four. While a part of the Laymen, owners of mining companies are actually given three votes collectively on the Senate. The Laymen are all given two votes collectively. This works by giving the laymen only two choices on the ballot–choices already voted upon by those above. The illusion of Democracy is seen through by a handful of people. They are attempting change, however, that’s a story for another series. As the Director of the Science Guild, Dr. Johann Schaak pulls the strings and always gets the voting going his way, even though voter tampering is still illegal. There are no ghettos on Tau Ceti Earth. Everyone is able to afford food, clothing and government assigned housing is free to everyone. Granted, some of the housing is bigger and more private than others, however, no one is in danger of being foreclosed on. There is plenty of food, water and other natural resources. Tau Ceti E, for all intents and purposes, is a Utopia. Join me next time as I start a 5 week series of NaNoWriMo posts.